Coventry were unable to translate tries from Max Trimble and Will Maisey into a long-awaited away win as Yorkshire Carnegie claimed a 35-10 Greene King IPA Championship round 19 success at Headingley. The visitors trailed eight-five at the end of an evenly-contested first half during which Trimble touched down an excellent counter-attack try after Carnegie missed touch. However, the concession of 17 points in six explosive minutes immediately following the restart meant the visitors had a mountain to climb. And although Maisey hit back with a well-worked try, a scoreless final quarter left the Blue-and-Whites to reflect on the damage done during the immediate post-interval period. 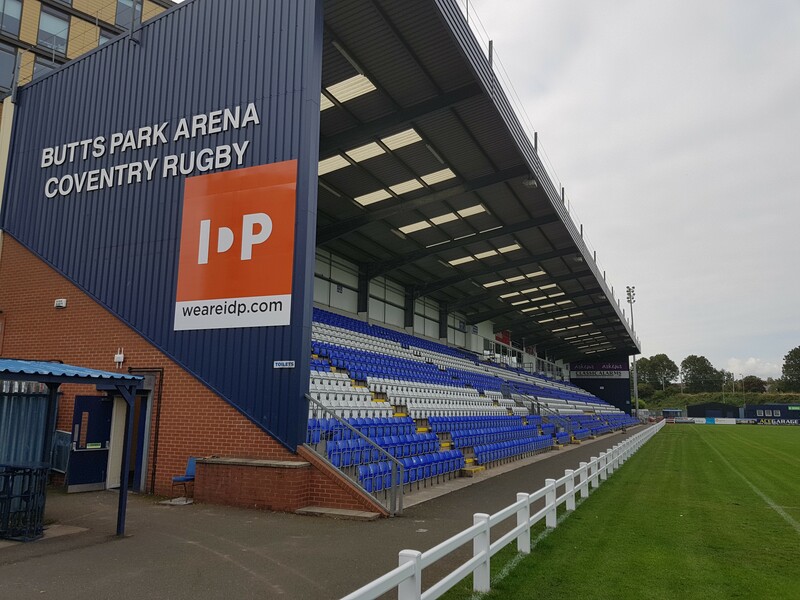 Cov now face a 13-day break before Nottingham are the final Butts Park Arena visitors of the season ahead of trips to Doncaster and Jersey. After Coventry got in front of Maisey’s opening kick-off Carnegie were penalised at the resulting scrum only for Rob Knox’s long-range kick at goal to drop under the crossbar. The home side then retained possession for a lengthy period until they finally worked George Watkins clear with a neat kick-pass, only for some good scramble defence to force a turnover. However, referee Simon Harding returned to an earlier offence to spark a spell during which Carnegie put three consecutive penalties deep into the Cov 22 from where they eventually shunted No.8 Dan Temm over for an unconverted try. As the opening quarter concluded, the visitors’ made good progress with ball in hand from a solid midfield scrum, releasing Knox down the right. Then, after Carnegie missed touch, David Halaifonua was twice involved in a move which ended with Trimble wriggling to the left corner for a fine score. When Cov were penalised on the ground, fly half Jade Te Rure’s 25-metre penalty edged the hosts back ahead. Carnegie then quickly shut the door on a half overlap created by Trimble’s loop after which Cov’s best spell of the opening 40 minutes saw a powerful Heath Stevens burst take them into the home 22 only for a chip ahead to go dead. This left the home side with a three-point interval advantage before their lightning start to the second period added 17 further points in only six minutes. After Te Rure stroked over a 35-metre penalty, home full back Chris Elder claimed a remarkable try – stepping a tackle in his own 22 then accelerating 90 metres to outpace everyone and go under the posts. And a minute later Carnegie had a third touchdown, created by flanker Antonio Kiri Kiri and finished by Watkins. Te Rure converted both, before Cov hit back through a well-worked set move which saw Jack Ram and Tom Kessell release Maisey for his second touchdown in as many weeks. However, the home side soon secured the bonus point when powerful centre Andy Forsyth broke a tackle on the Cov 22 and raced to the posts for a try which Te Rure upgraded. Elder extended the hosts’ advantage with a booming 50-metre penalty before a scorching Andy Bulumakau break took Cov into home territory where home skipper Richard Mayhew was shown a yellow card for illegally slowing Pete White’s tap penalty. But despite periods of good continuity, the visitors were unable to exploit their temporary numerical superiority and as a result Carnegie extended their lead over the Blue-and-Whites to six league points. Elder; Watkins (Thoroughgood 56), Forsyth, Lucock, Niko; Te Rure, Bruzulier (Wolstenholme 72); N Mayhew (Hill 39), Buckle (Donnellan 51), Mitchell (Foster 56); Mayhew, Lemalu (Smith 62); Bainbridge (Wilson 72), Kiri Kiri, Temm. Halaifonua; Knox, Stevens, Owen (Bulumakau 51), Trimble; Maisey, Kessell (White 57); Ellis (Gibbons 60), Tolmie (Nilsen 72), Boulton (Brighouse 60); Voss, Oram (Russell 49), Peters, Ram, Adams (Nutley 62). 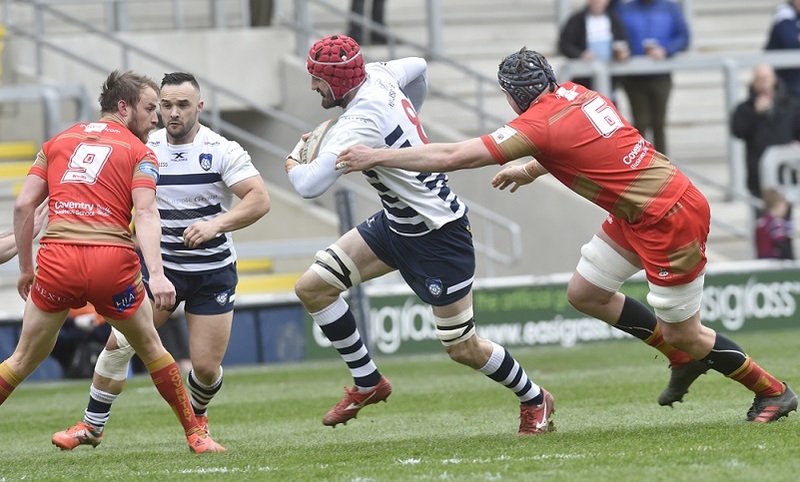 Posted in Match Reports, News and tagged greene king ipa championship, Yorkshire Carnegie.